Tyrone isn’t Flannery’s only problem. Her mother, Miranda, can’t pay the heating bills, let alone buy Flannery’s biology book. Her little brother, Felix, is careening out of control. And her best-friend-since-forever, Amber, has fallen for a guy who is making her forget all about the things she’s always cared most about  Flannery included  leading Amber down a dark and dangerous path of her own. When Flannery decides to make a love potion for her entrepreneurship project, rumors that it actually works go viral, and she suddenly has a hot commodity on her hands. But a series of shattering events makes her realize that real-life love is far more potent  and potentially damaging  than any fairy-tale prescription. 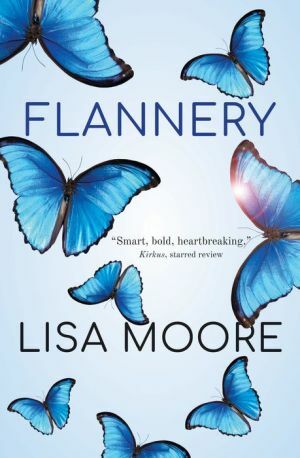 Written in Lisa Moore’s exuberant and inimitable style, Flannery is by turns heartbreaking and hilarious, empowering and harrowing  often all on the same page. It is a novel whose spell no reader will be able to resist.